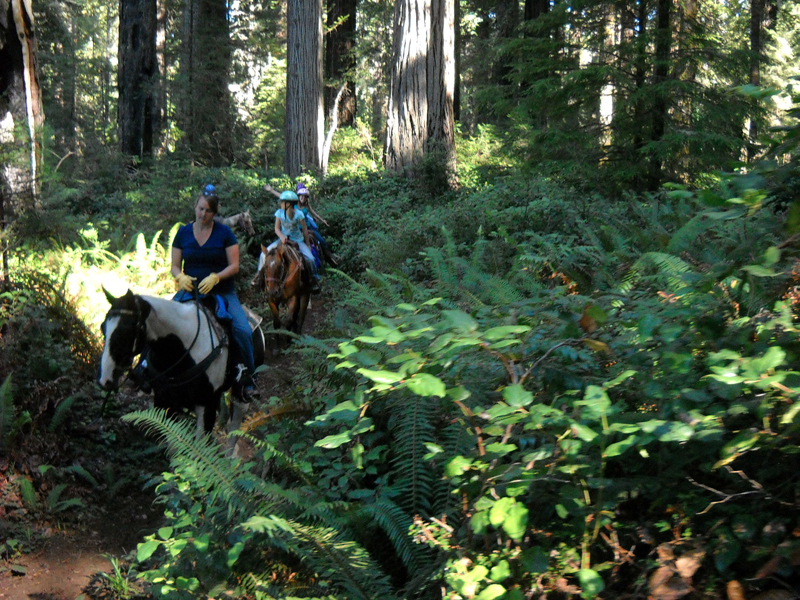 Needless to say, The Redwood Creek Buckarettes provide all three in their incomparable horseback tours through Redwood National and State Parks. Co-owners (and sisters) Kristina and Kimberly’s history on horseback dates back to their earliest days of long Thanksgiving rides with their father. Now they (along with their Junior Buckarettes Kaitlyn and Taylor) have turned their passion into a profession as they take visitors on captivating rides under the mighty trees of Redwood National Park. This ride’s naming is no mistake. Visitors will be lead through the awe-inspiring old growth forest of the Redwood National Park, traveling 600ft above sea level on this two-hour ride. Breathtaking vistas of the Coastal Redwoods will be passed on this journey, so a camera is highly recommended. The ride leaves at 10am and 2PM, lasts about 2hr and 15mins, and costs $90.00 per person. The extreme awesomeness of nature will bring out best flavors of a packed picnic lunch, it’s a proven fact. 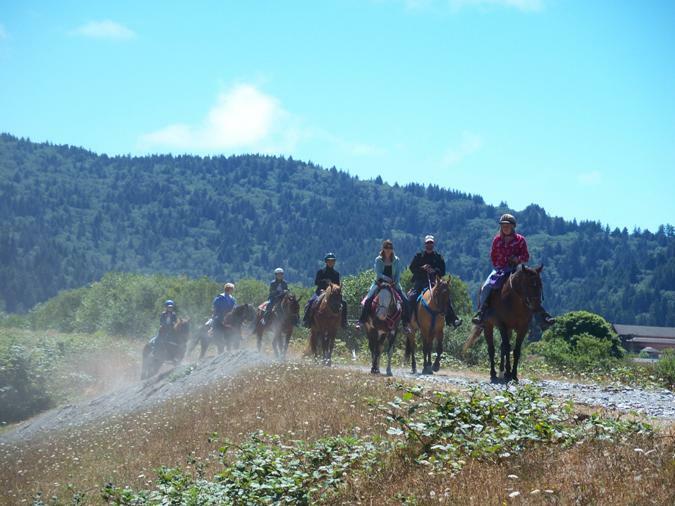 This four-hour ride takes visitors deep into the heart of Redwood National Park through the various stages of the Redwood forest before stopping for a relaxing picnic. Upon finishing lunch visitors will ride back down the trail, enjoying many a photo opportunity along the way. This ride leaves at 10am, lasts 4hrs, and costs $195.00 per person. Reservations are required. Of course, visitors may desire to see the sights without the long journey-time, and the Goose Pen Ride provides just that! Customers can ride up the mountain to have their picture taken inside the Coast Redwood, one of the world’s humongous wonders. This ride leaves at 10am and 2PM, lasts 1hr and 15mins, and costs $70.00 per person. Known by many as home to the largest trees on Earth, the Redwood National and State Parks is located in Humboldt County, California and has welcomed over 380,000 visitors to enjoy its marvelous forests. The park was first established January 1st, 1968 and has provided an ecosystem for several endangered and threatened species of wildlife in its 110,000 acres.